Sara Willoughby's health struggles inspired her to write. During battles with toxic mold and Lyme disease, teenager Sara Willoughby needed a way to cope. She found it through writingâfirst a blog, and now she's penned her first book. "When I first got sick, I thought I was all alone as a chronically ill Christian teen. I wanted to share what I was learning and going through, so I started a blog only to discover that I most certainly was not alone," Sara said. It's been a struggle that's hit the whole family hard. The Willoughbys had to give up all their possessions and move out of their Washington home to protect Sara, then 14, three years ago. She'd been bedridden for nine months with a mysterious disease, when doctors diagnosed her as poisoned by toxic mold that had spread from the attic to her bedroom. 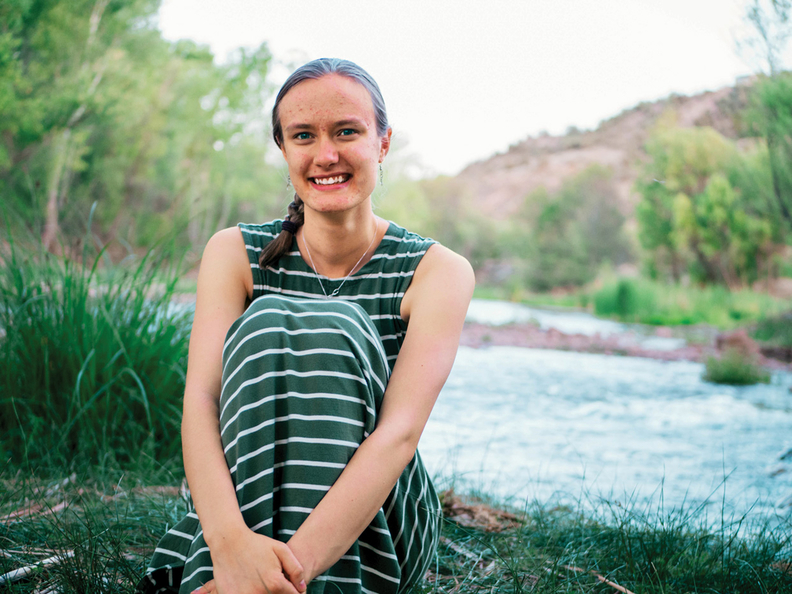 After a move to Arizona, Sara began to write as she fought for her health. The road to recovery hasn't been easy. After a diagnosis of Lyme disease last year, her medical bills this year reached $10,000 per month. A GoFundMe page has raised just shy of the $65,000 goal to continue Sara's treatment. "There are so many in the same boat I'm in. And all of us have the same questions and struggles," Sara said. "I wanted to be able to encourage them as they navigated the impossible trials in front of them." Sara, now 17, wrote her first book, He's Making Diamonds, to share what she's learned. "I want them to know that they are not alone. Not by a long shot," she said.